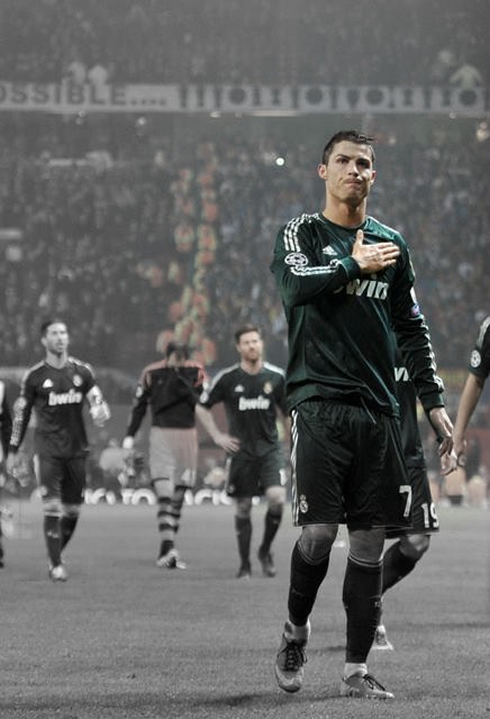 ﻿ Cristiano Ronaldo: "If we stay together, we'll beat Galatasaray"
15.03.2013 » Cristiano Ronaldo: "If we stay together, we'll beat Galatasaray"
We have finally reached the big boys stage of the UEFA Champions League. The last 8 teams standing in the competition are just 4 games away from getting their ticket to the Champions League final in Wembley, but the path ahead is far from being easy to be crossed. 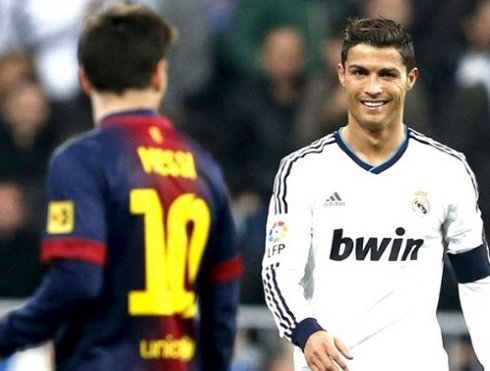 Real Madrid will face the Turkish champions Galatasaray, while Barcelona will battle against the rising PSG. The Bundesliga winners Borussia Dortmund will lock horns with Malaga, but probably no other game will match the intensity of the clash between Bayern Munich and Juventus. There will be no room for mistakes and Cristiano Ronaldo has been one of the first Real Madrid players to react to the draw earlier this Friday, as he denoted confidence on his side's capabilities to get past Galatasaray. The first leg will be played on April 3 at the Santiago Bernabéu, while the second leg will take place in the "Türk Telekom Arena", on April 9. The UEFA Champions League Group H seems to have its destiny crossed with Real Madrid this season and after knocking out the group winners Manchester United, it's now time to test Galatasaray's ferocity, precisely Group H runners-up. On paper, Real Madrid are clearly favorites to get through, but underestimating the Turkish champions is probably the biggest mistake the Merengues can make ahead of this quarter-finals clash. Galatasaray have lost twice in the competition so far, first against Manchester United in Old Trafford and then at home, against Braga. In the previous round to this quarter-finals though, they knocked out Schalke 04 after drawing 1-1 in Turkey and pulling off an impressive 2-3 win at the Veltins-Arena, last Wednesday. The Turkish side counts with several world-class players in their ranks, especially after the former Chelsea FC forward Didier Drogba and the former Inter Milan midfielder Wesley Sneijder joined the club last January. However, Galatasaray firepower is far from being restricted to those two men and the team's top goalscorer in the competition is number 17, Burak Yilmaz, who is currently tied with Cristiano Ronaldo in first place on that particular race, as both have 8 goals scored so far. Barcelona's Lionel Messi comes right behind them, with 7 goals under his name on this tournament. Aside from their biggest offensive threats, Galatasaray also relies on several other players who have made their names in different European clubs in the past. That's the case of the defensive midfielder Felipe Melo, who is on loan from Juventus, or the former Liverpool player Alberto Riera, but also Elmander, Altintop, Eboué and the goalkeeper, Fernando Muslera. That being said, this Turkish side definitely won't lack experience on the pitch and Real Madrid must be well aware of that throughout the two games in this series. Real Madrid hopes of winning their 10th UEFA Champions League are quite high at this stage of the season, but respecting Galatasaray's strengths will be crucial when approaching this quarter-finals clash. The Merengues gather most of the favoritism to reach the semi-finals and a good sign of that can simply be attested by looking at the 1.12 payoff for them to get through this series. This means that for each 10€ invested in Real Madrid getting past Galatasaray on this quarter-finals stage, sports bookmakers are paying off 11,2€ (12%). The Champions League will now pause for roughly two weeks and a half, with domestic leagues fixtures and the World Cup 2014 qualification games coming in the way. Action returns on April 2 (Tuesday), but Real Madrid only steps in the day after, for the first leg game against Galatasaray, at the Santiago Bernabéu. After the quarter final second legs get played on April 9 and April 10, a new draw will be made the following Friday (April 12), in order to match the four semi-finalists of the competition. 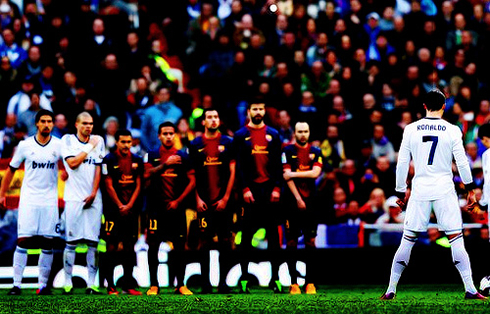 Cristiano Ronaldo next game for Real Madrid will be against Mallorca, on March 16, 2013, for La Liga. You can watch Juventus live stream, Real Madrid vs Mallorca, Barcelona vs Rayo Vallecano, Manchester United vs Reading and Swansea vs Arsenal, all matches provided from our soccer live section.